Anni Whitehead – History… the interesting bits! Today it is a pleasure to welcome author Annie Whitehead to the blog. Annie’s book, Mercia: The Rise and Fall of a Kingdom was released by Amberley on 15th September and traces the fortunes of the Anglo-Saxon Midlands kingdom of Mercia, from its origins in the 6th century to its absorption into Norman England in the 11th century. The book is a fabulous, enjoyable read and I can highly recommend it to anyone with an interest in Anglo-Saxon England. A huge thank you to Annie for this fabulous article. King Cenwulf, that’s who. He may not be all that well known, but he was one of the most successful Anglo-Saxon kings and was king for twenty-five years (796-821) during a period when most kings were lucky if they survived a year in the job. So why don’t we know more about him? Probably because his reign was sandwiched between a lot of kings with odd names, and he was overshadowed by his more famous predecessor, Offa. Cenwulf was supposedly descended from a brother of the infamous pagan king, Penda, but no one is entirely sure of the precise link (although my new book provides an intriguing theory…). One thing is for sure, and that is that he had no direct connection with his immediate predecessor, Ecgfrith, who was Offa’s son. Offa had gone to great lengths to secure the succession of his son, even going so far as to have him anointed as his heir. But all his plans were for naught, because Ecgfrith survived only five months after being crowned. Foul play? Maybe. There was no suggestion of it in the chronicles and many believed that he died for the sins of his father. It looks as if Cenwulf wasn’t around at court much during Offa’s reign, and may have been in exile. Perhaps he was the victim of the purges of which Offa had been accused, and for which the punishment was supposedly the untimely death of his son. No accusations of murder were ever levelled against Cenwulf. Cenwulf’s reign was an impressive one of overlordship and conquest. We don’t know much about his marital history but it is possible that he was married twice, firstly to a lady named Cynegyth, although it’s by no means certain, as a charter naming her as queen has been declared unreliable. 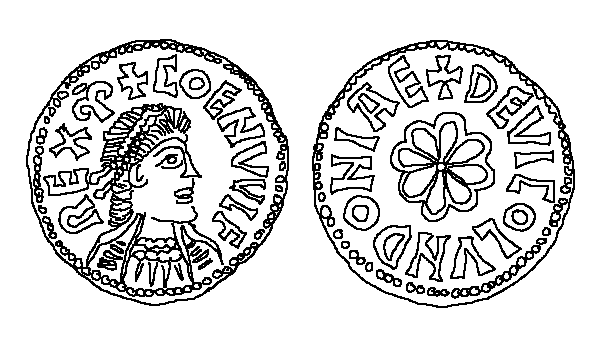 His – possibly second – wife was Ælfthryth. Offa had controlled East Anglia (famously doing away with their king, whom he’d had beheaded) but after his death East Anglia seems to have regained its independence. 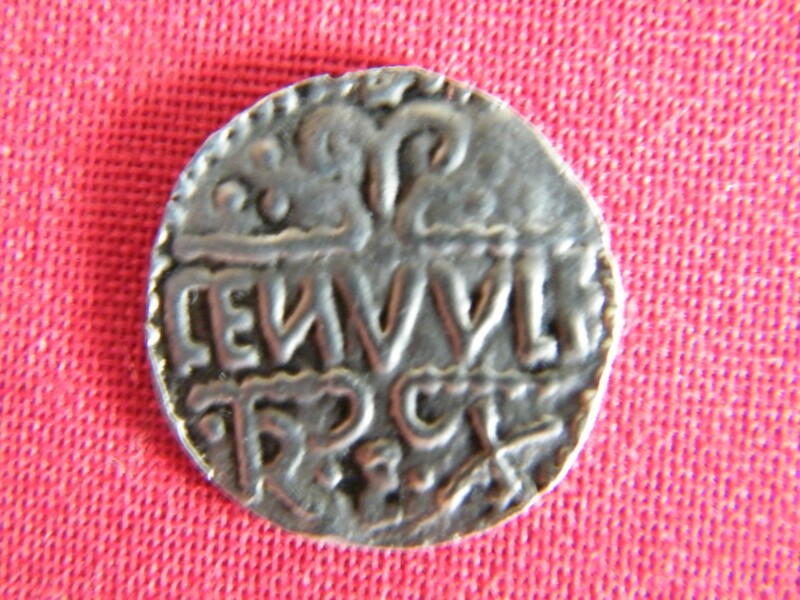 That was short-lived, however, for while they had been minting their own coins, very soon after he came to power, the East Anglian moneyers were striking coins for Cenwulf. 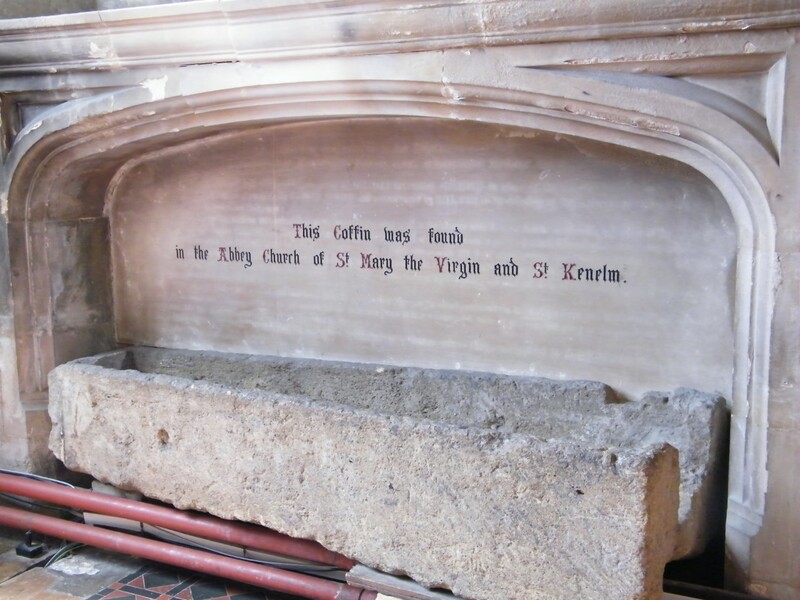 Coffin believed by some to be that of Kenelm, Cwoenthryth’s murdered brother, but it actually dates from a later period. East Saxon independence also appears to have been short-lived, with its last ever recorded king, Sigered, being reduced to the status of first sub-king, and then dux. In 801, Cenwulf was attacked by King Eardwulf of the Northumbrians, ‘because of his harbouring of his enemies.’ A letter from Pope Leo III to Charlemagne in 808 mentions the nobleman, Wada, and seems to confirm the accusation that Cenwulf had indeed been harbouring Eardwulf’s enemies, because Wada was involved in a battle of 798 where he had fought against King Eardwulf. Eventually the two kings agreed to a truce. Things were a little more violent when it came to Cenwulf’s dealings with Kent, however, and it was perhaps not Cenwulf’s finest hour. In 798, the same year as the battle involving Wada, Cenwulf was busy ravaging Kent, and he captured the Kentish king, known as Eadberht Præn. When Offa, who had been overlord of Kent, died, Kent had risen up in revolt against Mercia. Eadberht Præn had been in exile at the court of Charlemagne, and he returned after Offa’s death, forcing the archbishop of Canterbury – who was known to have Mercian sympathies – to flee. According to the Anglo-Saxon Chronicle, Cenwulf ‘seized Præn and brought him in fetters into Mercia’ where his eyes were put out and his hands cut off. But while one later chronicler, Henry of Huntingdon, refers to the capture, he makes no mention of the mutilations and another twelfth-century writer, William of Malmesbury, called Cenwulf a ‘truly great man’ who ‘surpassed his fame by his virtues, doing nothing that malice could justly find fault with.’ His praise seems motivated by the latter’s having restored Canterbury, and he goes on to say that Cenwulf released Eadberht Præn out of pity. For a short while, Cenwulf put his brother into Kent to rule there as a puppet king, but after his brother died, he took direct control. 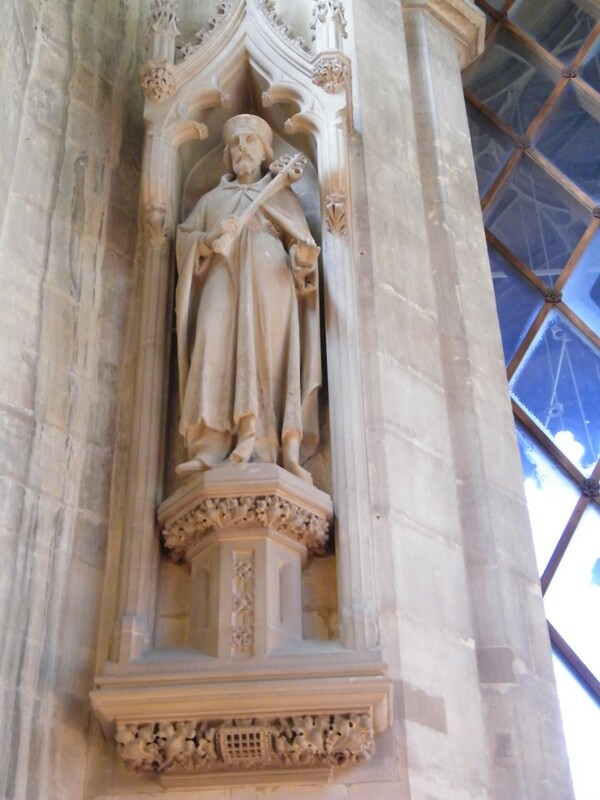 For all William of Malmesbury praised Cenwulf for restoring order at Canterbury (Offa had fought to have the archbishopric moved to London and when that failed, established one at Lichfield. Cenwulf reversed this decision), Cenwulf had a fractious relationship with the Church. He became embroiled in an argument with the new archbishop of Canterbury, Wulfred. The dispute concerned the Kentish minsters and whether it was right that the state should have control over ecclesiastical lands. The argument raged from 816 and was not resolved when Cenwulf died in 821. The kings who followed him make up a list which looks a little like a cat has walked over the keyboard and show that the kingdom was troubled by a series of dynastic disputes between rival families. In amongst this, Cenwulf reigned successfully for a quarter of a century, and it seems as though he was on campaign against the Welsh when he died, but his reign is overshadowed by what (allegedly) happened to his children. His daughter, Cwoenthryth, inherited not only her father’s lands but his dispute with the Church. 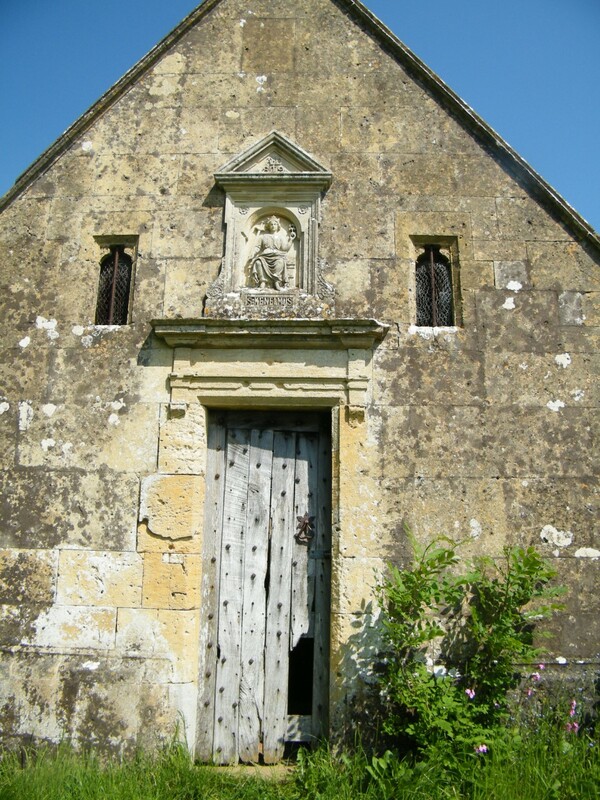 Wulfred was accused of forging documents to support his case, but the Church Council found in his favour and whilst Cwoenthryth was allowed to keep the possession of Winchcombe she was forced to hand over the rights to the Kentish minsters. Winchcombe, where her father was buried and where she was abbess, became the centre of a scandal when she was accused of arranging for her little brother, Kenelm, to be murdered. Some of the stories say that her eyeballs dropped out as divine punishment, some that she was struck down dead. Reality was probably somewhat different, since it’s hard to prove that the young brother in question was even a small boy at the time of the alleged murder, and Cwoenthryth lived on as abbess of Winchcombe; some historians think she survived until the 840s. When the history of this period includes Offa the Great, a murder of a little boy, and dynastic struggle which also ended in murder, it’s hardly surprising that poor Cenwulf gets forgotten. But as one historian pointed out, his achievement was ‘scarcely less impressive’ than Offa’s. He controlled the whole of the south east, and while his influence was not felt over Wessex, he at least kept the Northumbrians at bay, and he increased pressure on the Welsh, to the extent that his eventual successor, his brother, was able virtually to overrun Powys. Old-fashioned warlord he may have been, but he was the only English king before the tenth century to be styled ‘emperor’. If only he’d lived at another time, or gone up against more famous adversaries, perhaps he’d be better remembered today. Picture credits: ©Annie Whitehead except drawing of Cenwulf (public domain). Annie Whitehead graduated in history having specialised in the ‘Dark Ages’ and is a member of the Royal Historical Society. 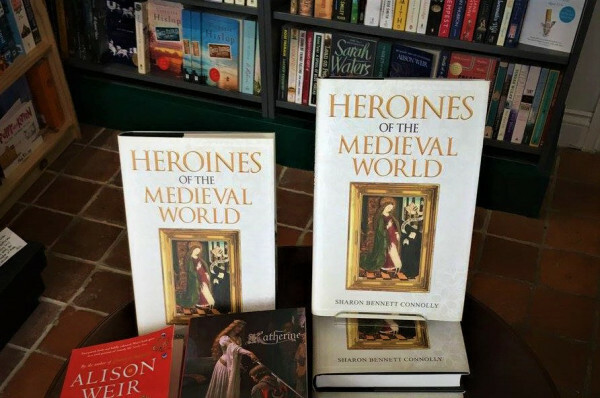 She’s written three books about early medieval Mercia, the ancient Anglo-Saxon kingdom of the Midlands. 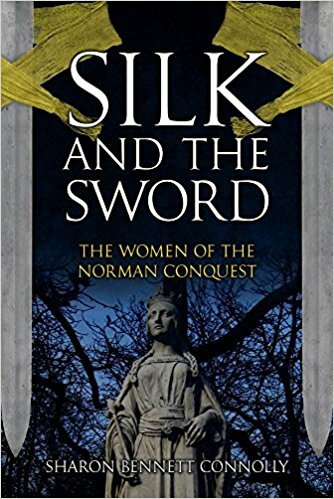 The first, To Be a Queen, tells the story of Alfred the Great’s daughter, and was long-listed for the Historical Novelist Society’s Indie Book of the Year 2016, and was an IAN (Independent Author Network) Finalist in 2017, while the second, Alvar the Kingmaker, is the story of Aelfhere, Earl of Mercia in the 10th century. The third, Cometh the Hour, is the first of two volumes set in seventh-century Mercia. She was a contributor to the anthology 1066 Turned Upside Down, a collection of alternative short stories. She writes magazine articles and has had pieces printed in diverse publications, including Cumbria Magazine and This England. She has twice been a prize winner in the Mail on Sunday Novel Writing Competition, and won First Prize in the 2012 New Writer Magazine’s Prose and Poetry Competition. She was a finalist in the 2015 Tom Howard Prize for nonfiction, and is also a contributor and editor for the English Historical Fiction Authors blog, as well as blogging for her own site – Casting Light upon the Shadow. In 2017 she won the inaugural HWA/Dorothy Dunnett Society Short Story Prize. 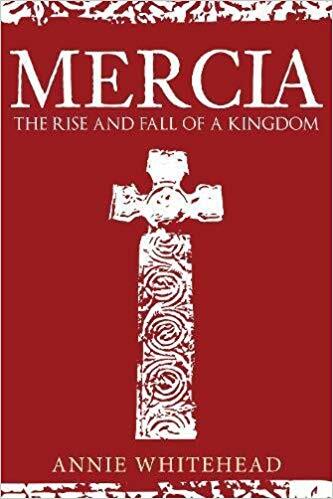 Her first full-length nonfiction book, Mercia: The Rise and Fall of a Kingdom, is published by Amberley and available from Amazon UK. Today over at The Review, you can read my thoughts on Anni Whitehead’s wonderful novel of Æthelflæd, Lady of Mercia, in To Be A Queen. And there’s a signed copy as a giveaway! 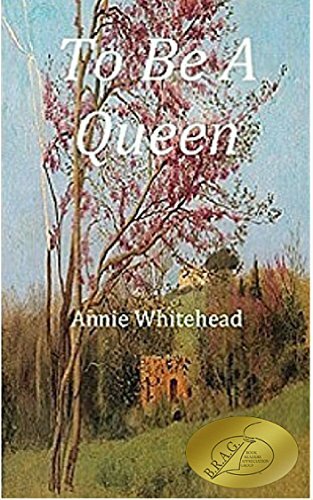 Written by Annie Whitehead, To Be A Queen, is the fascinating story of the most remarkable of Saxon women, Aethelflaed, Lady of the Mercians and daughter of Alfred the Great. 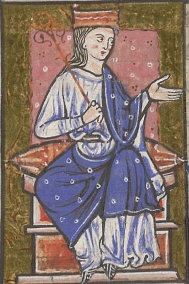 The novel leads us through Aethelflaed’s personal journey, from a sheltered childhood in the heart of Wessex to marriage, motherhood, and a remarkable partnership with her brother Edward, who succeeded their father as King of Wessex. Aethelflaed and Edward spearhead the fight against the Danes and the struggle to unite England under one ruler. A thoroughly enjoyable book, To Be A Queen, draws the reader in from the very first sentence, recounting the story of Aethelflaed’s life while telling you the bigger story that is the making of England. Many readers may be familiar with Aethelflaed from the Bernard Cornwell The Last Kingdom series, but Annie Whitehead develops the Lady of Mercia to even greater depths, getting under the skin and into the heart of this amazing woman. To read the full review of this fantastic novel – and to enter the prize draw and be in with a chance of winning one of two e-book copies in the giveaway, simply visit The Review and leave a comment.